/ Our Blog / Save $ with our New App! Save $ with our New App! Are you in savings mode? You’re not alone! The after-holiday season means planning ahead and saving money on future expenses like vacation, summer spending, & current needs like home repair, family necessities and more! Luckily, we have several tools available to help you save money. Shop Local! Using our helpful new app, you can save money while shopping locally! Franklin Shopper App – NEW! Our New APP let’s you browse local savings, as well as view Hours, Location & More! Free to Download! 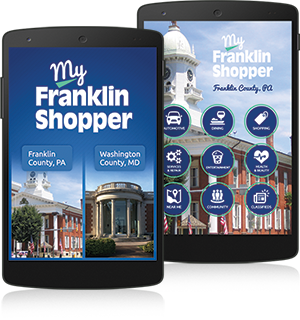 The My Franklin Shopper mobile app is your source for local shopping and the hottest deals in town. Receive instant notifications when there is a deal closest to you.